7 lessons we can learn on saving money, and personal finances. Saving money is simple, but not easy at different stages in our lives. Beware these money pitfalls and how to avoid them. After working for a few years, it is easy to be complacent in your daily routine and role. You may complain and throw a pity party every once a while with your buddies but that’s about the extent of it. Increasing income can be done by advancing your career, investing in your own self development, and creating additional income streams leveraging on your strengths. It is easy to signup for various products and services (i.e. Astro, mobile phone plans, Spotify). And then there are major purchases on credit (i.e. home loan, car loan, furniture instalment plan). These recurring expenses are a continuous drain to your financial health. All the small tens and hundreds of ringgit adds up very quickly. Recurring expenses have a significant effect limiting your budget and savings/investment funds. Think twice before paying for anything that will be a recurring expense of 6 months or longer. Pay cash and in full. Else take the time and effort to save up for it (like how folks used to do). Know the financial impact of each ringgit spent. RM100 compounded at 8% over 30 years is RM1,006! We live in a world bombarded by advertising. Many things look appealing to the eye and appeal to impulse purchase. Instantaneous gratification seems like a norm with seemingly everyone with the latest smartphone, branded stuff, and a new car. The question is it really important for you? Is it a need or a want? Will it give you significant value to your life in the medium-long term? As we get older (and hopefully wiser), many of us realise that the stuff and material doodads bring little, and short term happiness. Take at least a few days to think and consider your planned purchase. If you are married, discuss with your spouse before making big purchases. Consider if there are better value options which are just as good and at half the price. Learn to shop around and do not be shy to bargain. For example, if you are planning to buy something costing RM5k, look for a way to save or make that amount of money. Then you can spend happily knowing you have purchased something you really want, at a good price, and without pawning away part of your future financial happiness. While Buffett was largely referring to businesses and investing, this applies to our daily living too. Businesses: Companies (especially financial institutions and insurance companies) are under-reserved. It is not apparent during good years until a financial crisis occurs. For example, the sub-prime mortgage crisis came close to taking down global banking. In times of crisis, you can really see which companies are well run (or not). Investing: Your investments look fine during good years and flaws are not apparent. But do be prepared for when there is a significant market downturn. For example, Buffett’s Berkshire Hathaway has faced downturns of up to 50% 4x so far. Are you prepared to face a major correction which will inevitably happen? Daily Living: You may not run a business or make significant investment decisions (yet). But all of us can take heed of this principle. If you lose your job or face a sudden major expense (e.g. family member’s illness), do you have emergency/backup funds available? A good rule of thumb is 6-12 months worth of expenses (min RM10k – max RM100k) in an easily accessible no-risk account. Let’s face it. Most of us dislike talking to insurance agents. We group them in with pesky telemarketers and credit card accosters at malls. We try our best not to get insurance and delay for as long as possible… Only to finally buy a subpar insurance plan that we overpay while not actually meeting our needs. Risk management is being focused on covering your needs in events which would otherwise have significant negative financial impact . If you are a student or not working, your focus should be on medical insurance to ensure that you do not become a burden to your loved ones. If you are working, your focus shours be on income replacement to ensure that you and your family are taken care of in event of disability, critical illness, or death. If you are retired, you may or may not need insurance. Insurance can be used to supplement income if necessary (e.g. passing away and your spouse losing most of your pension). Or for estate planning purposes, a fair, fast and tax efficient way to leave a gift for your spouse and children. Do not be penny wise and pound foolish. Get covered as soon as needed without delay. However, do cover only what you need and at as low cost as possible. Insurance is generally a poor investment instrument. Do not focus on the “projected returns”. Many offices in Malaysia were pretty abuzz lately talking about money games. It seems like an excellent deal “investing” a sum of money and making 20% monthly returns. And look! So and so did it and is now doing this full time after quitting their jobs and are now driving around in their brand new BMW and holidaying every month somewhere around the world. Guaranteed! Sure win! The only thing certain in life is (ironically) uncertainty. We don’t know how many people will lose what amounts of money when a Ponzi scheme collapses. Time has proven that hot “secret insider” tips in stocks, forex, etc may lead to losses. Investing is a skill that can give you decent returns provided you have an edge. Know your circle of competency. (Hint: If you don’t know what are your odds, your risk-reward ratio, and what factors affect your investment returns, it’s outside your circle). Know your world. The basic entry level is knowing what is happening both in Malaysia and globally in our interconnected global economy. Separate facts from fake news. Listen and learn, but form your own insights. We are fascinated about OPM (other people’s money). We read and follow who are the richest people in Malaysia and the world. We may brag about our gains, and investment wins to those who will listen. But we don’t really talk about our personal finances, not even to our closest family and friends. Why is that? Some people are just uncomfortable talking about money (especially if they feel they don’t have much of it). Many of us feel that it’s personal and have some irrational fear that people will treat us differently or become a target of robbers. The truth is the “personal” part of personal finances is about each one of us as individuals. We need to connect with each other on a personal level, and sharpen one another. If you married, you also become one with your spouse which includes working on aligning financial goals. The best way to learn is through others accumulated experiences instead of paying the expensive costs of making mistakes. 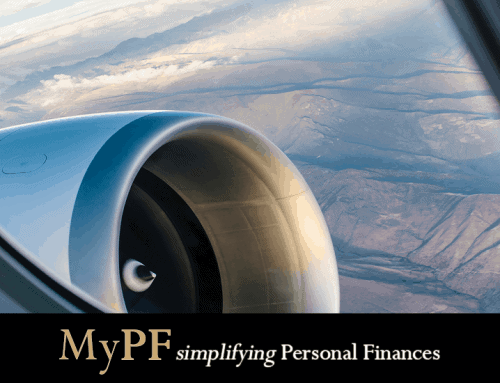 Personal finances advisors can save you a great deal of time and money with advice and strategies that fit your current situation and financial goals. Do ensure that you get an advisor that meets your needs by having a trial period with your potential advisor, especially to make sure that he/she is not there to just push you insurance/unit trust/etc. Enjoy life and treasure relationships. But don’t go overboard frequently. 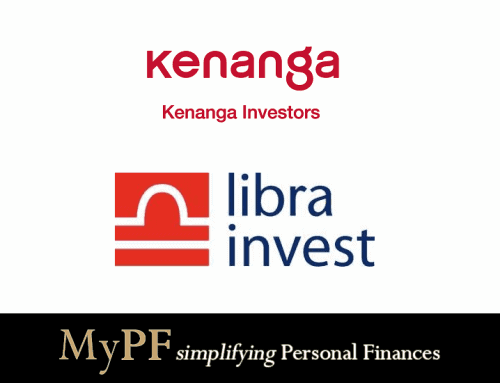 Make few but significant major personal finances and investment decisions. Once you have planned, move forward consistently with execution without unnecessary dallying. Saving money is a marathon not a sprint. Planning, dedication, and support is necessary to run a good race. The true competition is with yourself and not against others. Share and discuss on How to Save.